The due process hearing in this matter was held on September 20 and October 19, 2010, in Fullerton, California, before Administrative Law Judge (ALJ) Eileen M. Cohn of the Office of Administrative Hearings, State of California. Cynthia A. Yount, Attorney at Law, of Parker & Covert LLP, represented the Fullerton Elementary School District (District). Laura Rydell, District’s Director of Student Support Services, attended both hearing days. Student was represented by her Father. Father attended both hearing days. District filed its request for a due process hearing on August 25, 2010. At the close of the hearing, the parties stipulated to a continuance of the matter so that they could file written closing briefs. District and Student timely filed their closing briefs on November 2, 2010, at which time the matter was submitted and the ALJ closed the record. Whether the District’s individual education program (IEP) offer of May 4, 2010, for ESY 2010 and the 2010-2011 school year, constituted an offer of a free and appropriate public education (FAPE) in the least restrictive environment (LRE). 1. Student is an 11-year-old boy who at all relevant times resided within the District and was eligible for special education under the category of autistic-like behavior. Student demonstrated global development delays in the areas of communication, cognition, adaptive behavior, and fine and gross motor skills. At the time of the hearing, Student was a sixth grader in a special day class (SDC) at a District school. 2. 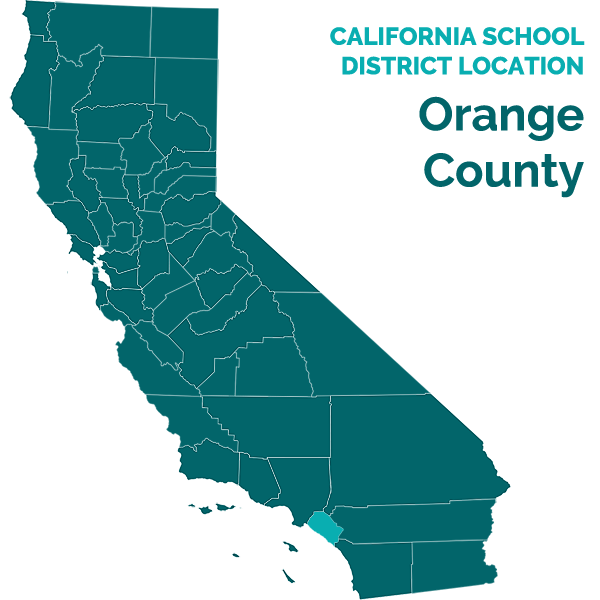 Beginning at age two, the Orange County Regional Center (Regional Center) provided Student with one-on-one applied behavioral analysis (ABA) home services by a nonpublic agency (NPA), Coyne and Associates (Coyne). After Student enrolled in the District at age three, District funded Coyne’s home ABA services after school to support the goals and objectives of Student’s IEPs. District funded ten hours of direct one-on-one ABA home services after school, and two hours of program supervision per week. Student received two hours a day of direct home ABA services, five days a week. Coyne provided the services for the District. 3. Student’s May 2006, IEP was the last fully agreed upon and implemented IEP. At the time of the May 2006 IEP team meeting, Student was in first grade and attended a SDC. Student received individual and small group speech and language (LAS), and occupational therapy (OT) services. Student received 15 minutes of adapted physical education (APE) instruction, twice a week. Student attended general education assemblies. Weekly, Coyne provided Student ten hours a week of direct ABA home services, and two hours of supervision. 4. At the June 2007 IEP team meeting, held at the end of Student’s second grade year, Coyne recommended that Student’s direct one-on-one ABA home services be reduced from ten hours a week to eight hours a week. Coyne had successfully applied intensive intervention strategies to reduce Student’s behavioral problems, decreasing problem behaviors to near zero. Student had also progressed in all areas of his home program. Father disagreed with the reduced service offer and the IEP team decided to maintain the same level of ABA home services until October 2007 at which time it would review again Student’s progress. 5. In October 2007 Coyne recommended that the IEP team adopt a plan for the gradual reduction of Student’s ABA home services. This time Coyne recommended a reduction in direct ABA home services from ten hours a week to six hours a week. In addition, Coyne recommended that the home program be phased out by the IEP team if Student continued to make progress on his IEP goals. Student had made progress on all of his goals in the home program. Coyne based its recommendation on its observation that Student has met three IEP objectives set forth in the agreed upon May 2007 IEP and made progress on all other goals. Coyne further maintained that the home program was no longer required at the same level because Coyne’s methods had been adopted and implemented in Student’s classroom by his teacher as a result of its collaboration and consultation with his teacher over the past two years. Further, many of the goals introduced by Coyne at home were “critical” to Student’s quality of his and his family’s life, but were outside the scope of the IEP. Coyne introduced basketball and solitaire to Student as leisure skills intended as replacements for stereotypical behaviors. Based upon Coyne’s recommendation, the District offered a reduction of Student’s direct one-on-one ABA home services from ten hours to six hours weekly, and a reduction of supervision from eight hours a month to six hours a month. Father disagreed with the reduction in services and District respected parents’ stay-put rights and maintained the last agreed upon level of ABA home services set forth in the May 2006 IEP. 6. At the May 2008 IEP Coyne again recommended a reduction in Student’s home services. Based upon Student’s continued progress, Coyne recommended that the hours be initially reduced as previously recommended, but additionally that the IEP team consider a fading plan in three months where home services would be further reduced to four hours of direct one-on-one services and four hours of supervision. Father disagreed with the reduction in home services and District continued to provide the same level of service. In November 2008 Coyne prepared a progress report and reiterated its recommendation of May 2008. 7. At the May 2009 IEP team meeting District offered reduced ABA home services based upon Coyne’s recommendations. Father disagreed with reducing ABA home services. Father maintained that Student benefitted from one-on-one ABA home services because the home was where he functioned most of the time. Father recommended that Student receive one-on-one services at home. He offered to pay for these services with another agency. Father requested that District reduce Student’s day at school so that there would be enough time each day for Student to receive additional hours of one-on-one services. If District was unwilling to reduce Student’s school day, Father requested that District allow parents to pay for another NPA to provide the services at school. District declined Father’s recommendation. District continued to provide Student ten hours a week of one-on-one home ABA services and two hours a week of supervision. 8. On May 4, 2010, Student’s annual IEP was held. All required members of the IEP team were present including: Student’s Father; Student’s SDC teacher, Karina Morales; Student’s general education teacher, Rebecca Cash; District’s school psychologist, Sue Khalili; District special education coordinator, Sharon Dyer; District’s autism supervisor, Peter Ellis; Coyne supervisor Amy Yang; District’s adapted physical education (APE) teacher; and District’s speech and language pathologist (SLP). District provided Father a meeting agenda and reviewed parents’ procedural rights with him. 9. Student’s strengths were reviewed. Student learned best through visual and kinesthetic modes. He did not have behavioral problems at school. He arrived at school calm and could put his belongings away with assistance from his mother and staff using verbal cues and gestures. He could sit in groups for work or game sessions without wandering away. He enjoyed working on puzzles, colors, and matching folder games. He could sit with general education peers for games. He could sit and focus on his teacher during his ABA discrete trial training (DTT) sessions. He responded well to rewards or reinforcers such as edibles, attention and puzzles. 10. Student’s present levels of performance were reviewed. Student participated in the special education alternative curriculum. Student took the statewide California Alternative Performance Assessment (CAPA) and scored proficient in English language arts and advanced in mathematics. Student communicated through picture communication books facial expressions and vocalizations. Student could communicate using a stop icon when presented with a known non-preferred activity but needed prompts for new non-preferred activities. Student had difficulty following known commands when the circumstances changed, and following novel commands. Student utilized a picture exchange communication system (PECS) to request preferred objects or food, but required prompts. Student’s fine and gross motor development was reviewed. He enjoyed 24-piece puzzles. He needed hand over hand assistance when holding and cutting paper and tracing horizontal lines. He imitated drawing a vertical line and improved his ability to color within boundaries. He stamped his name to label his work and wrote his name when provided with a drawn line indicating the location for his signature. 11. Student’s social development was reviewed. Student responded to selected people and staff. He responded to peer greetings by waving hello over 50 percent of the time, with prompts. With prompts he used playground equipment, and took turns passing the ball. Student participated in general education activities, including assemblies, lunch, recess, and reverse mainstreaming, where general education peers participate in SDC activities. 12. Student was challenged by certain maladaptive emotional responses to daily circumstances. He was sad, cried or threw items when he was removed from a preferred activity. When upset he might yell or cry. He did not say “yes” or “no”, but either vocalized a displeased sound or pushed the object away. He preferred to push non-preferred food items away instead of using his picture exchange communication system (PECS) to communicate his preferences. His behavior was not injurious to others. He once, but no longer, pushed his classmates off exercise equipment. 13. Student’s adaptive, daily living and vocational skills were improving, but remained areas of challenge. Student could not eat his sandwich correctly. He could open an unsealed water bottle but needed assistance opening a sealed water bottle and closing his water bottle. He poured water out of a water bottle into a cup with one prompt to prevent spillage from the cup. He required multiple prompts to get his lunch bag when it was time to leave the classroom, and at snack time he did not initiate food requests with his PECS. He was able to use the urinal, but when unsupervised might spray the surrounding wall and laugh. He pulled his pants up and down but needed assistance to adjust his clothing. He washed his hands and utilized the hand dryer. He had difficulty brushing his teeth; he required physical prompts and needed hand over hand assistance. He improved his ability to apply deodorant correctly with assistance. Student followed a picture schedule and used it to transition throughout the day, but required visual and verbal cues in order to check his schedule. He required prompting each time he was required to do independent work such as looking through his book to look for work tasks, taking work out of his drawer, completing his work, and placing his completed work in the appropriate box. During cooking activities, Student was able to assist in cooking tasks and wait his turn. He participated in communitybased activities when he was accompanied by his mother. 14. The IEP team reviewed previous goals for Student. Four communication goals were reviewed. One communication goal addressed sharing information and ideas. The goal focused on improving Student’s utilization of PECS in noisy and distracting settings. Student successfully utilized the PECS in quiet settings. He was much less consistent in a noisy environment or when peers were present. He did not make appropriate progress on this goal. A second communication goal focused on Student’s utilization of a “stop” icon and presenting it to an adult initiating a non-preferred activity to communicate that he did not want to participate. Student made progress on this goal by using gestural prompts to indicate his intent not to participate in the proposed activity. A third communication goal addressed Student’s ability to follow directions and focused on improving Student’s ability to follow a simple direction containing an object in context, such as giving a ball to another person, with a minimum of gestural prompts. Student made progress on this goal. A fourth communication goal focused on compensating for Student’s inability to use verbal language to share information, by teaching and encouraging him to use a voice output device which requires him to press buttons to request objects in the classroom, such as bubbles, crackers and ball. Student made progress on this goal but did not complete this goal. 15. The IEP team reviewed two previous APE goals. One annual goal addressed gross motor physical fitness by focusing on Student’s ability to perform warm-up exercises such as knee bends, toe touches, jumping jacks, sit-ups and push ups, and other fitness activities. Student met all three objectives included in the goal and achieved the annual goal by the expected date. The second annual APE goal addressed Student’s gross motor object control through kicking. The goal was designed to improve Student’s ability to kick a variety of ball sizes toward a peer or adult during APE and recess. Student met all three objectives and achieved the annual goal by the expected date. 16. The IEP team reviewed Student’s vocational and social goal of throwing a ball in a basketball hoop and afterwards, with prompts, taking turns with another pupil by picking up the ball from the ground and giving the ball to the pupil. Student met all three objectives and achieved the annual goal by the expected date. 17. The IEP team reviewed Student’s health goal which was designed to improve Student’s skill at unscrewing a water bottle lid with minor physical prompts and pouring the liquid into a cup without overfilling. Student met all three objectives and achieved his annual goal by the expected date. 18. The team reviewed Student’s social goal of responding to a greeting from at least three peers in the classroom or playground by raising his hand and saying hello. This goal was not met; Student responded about 60 percent of the time with prompts. 19. Other goals were reviewed including goals addressing his core academic courses in history, writing, math and reading. In total, 18 goals, proposed in the May 2009 IEP, and approved by Student’s parents in September 2009, were reviewed. 20. The IEP team reviewed Student’s home one-on-one ABA program provided by Coyne under stay-put. Coyne implemented certain goals from the May 2009 IEP which could be adapted to the home setting. Coyne adopted two communication goals for the home: one which required Student to use a stop icon to indicate when he did not want to participate in an activity; and one requiring him to use PECS in a noisy environment. Coyne reported that Student had made progress in using his stop icon and had mastered several phases of using PECS in a noisy home environment. Coyne reported that Student mastered a vocational goal of matching folders and placing them in the all done box in May 2009. It reported that Student mastered the self-help goal of unscrewing the water bottle lid. It reported that Student’s social goal to greet a peer was accomplished in the home by greeting an adult and was mastered. Coyne mastered a portion of the writing goal in the home, and mastered the reading goal to identify and associate objects it adapted to the home environment using objects such as a fork and knife, toothpaste and shoes. Coyne did not implement the gross motor APE goals in the home. 21. Coyne reported on its implementation of the May 2009 goals which involved after school activities including his routine of putting away school items (in progress), leisure skills game (in progress), snack preparation (in progress), buttoning (mastered), blocks and legos imitation (mastered), taking item to familiar adult (partially mastered) and retrieving item for mealtime or grooming (partially mastered). 22. Coyne recommended that Student’s home ABA program be discontinued. It concluded that Student’s school program was sufficient to meet his educational needs and facilitate progress toward his IEP objectives. 23. District proposed four communication goals during the May 4, 2010 IEP meeting. One communication goal, to be implemented during speech sessions in the speech room and in the classroom, required Student to follow various instructions in both settings. A second communication goal required Student to follow instructions during speech sessions to turn to a specific pupil and give an instructor-selected item to the pupil. A third communication goal, to be implemented during Student’s speech sessions, required Student to make requests using a picture communication book. A fourth communication goal, to be implemented during speech sessions, required Student to use a “stop” icon to choose between preferred or non-preferred items. 24. Father commented on the goals and requested changes. Father requested that the first communication goal focus more on commands and generalization of skills across settings. District revised the applicable communication goal in response to Father’s request and Father agreed with the goal. Father agreed with communication goals two and three. Father objected to communication goal four. Father disagreed with the baseline information which indicated that Student could make a choice between two items. Based upon Father’s observations at home, Student was not capable of making a choice between a preferred and non-preferred item. District IEP team members were surprised by Father’s observation as they had not observed this at school, but they agreed to evaluate the baseline information for this goal further. Father did not consent to communication goal four. 25. District also offered two adapted physical education (APE) goals to be implemented in APE and in Student’s special day class (SDC). One goal was designed to further Student’s gross motor and health and physical fitness through imitation. Another physical fitness goal required Student to participate in a yoga video with prompting and minimal physical assistance. Father agreed with District’s APE goals. one self-help goal to encourage Student to initiate a request for a snack item without prompts. The last self-help goal was modified based upon Father’s input before Father consented to it. 27. In total, Father agreed to 20 of the 21 goals proposed by the IEP team. Father objected to one communication goal and the District withdrew the objectionable goal. Each goal specified how Student’s progress would be measured and the responsible District staff. 28. District and Father reviewed Student’s special education related services. District offered Student two, 30-minute sessions of individual speech and language (LAS) services weekly and two, 30-minute sessions of group speech weekly. Father consented to the offer of LAS services. 29. District offered 30 minutes a week of APE, divided into two, 15-minute sessions. Father objected to the total amount of time offered for APE and the duration of each APE session. Father requested more time for APE if Student continued to participate in a full day instructional program on the school campus. 30. District and Father reviewed Student’s testing and accommodations and agreed that Student would continue to participate in the statewide CAPA test, level one. 31. District and Father reviewed Student’s placement. District offered Student continued placement in the SDC class for pupils with moderate to severe autism for Student’s entire school day. The SDC was referred to as the Systematic Utilization of Comprehensive Strategies for Ensuring Student Success (SUCSESS). The class was located on a general education campus. Student would participate with his general education peers in field trips, assemblies, lunch and recess, and through reverse mainstreaming. District offered Student one hour of one-on-one DTT per day. 32. Father disagreed with District’s placement offer. He maintained that Student required more than the one hour of one-on-one DTT behavior intervention that District provided in the SDC. Father requested a modified school day so that Student could leave at 12:30, and participate in a home ABA program the remainder of the day. At the IEP meeting Father stated that he planned to contract privately for the home program. District explained that a home program would not be appropriate for Student unless he was unable to attend school for physical or health reasons. District did not agree that a reduced school day was appropriate, but offered to increase Student’s one-on-one DTT at school to 90 minutes per day with input from District’s autism supervisor. 33. After the May 4, 2010 IEP team meeting, in an e-mail dated May 24, 2010, Father amended his proposal for Student’s placement. He requested that Student remain enrolled in the SDC for the full school day if District offered continued ABA services from Coyne at the school, instead of at home. Father proposed self-funding additional ABA services at home. If District would not agree to fund Coyne at school, Father requested that District release Student at 12:30 p.m. so that Student could participate in a private home ABA program. 34. Coyne resigned as the ABA home service provider after the May 4, 2010 IEP team because it did not believe it could continue with services related to goals suitable for school and which could be successfully facilitated at school. District continued to provide ABA home services with District personnel. 35. On June 9 2010, District’s special education coordinator, Ms. Dyer, sent Student’s parents a letter to summarize its IEP offer of May 4 2010, and to notify them of its refusal to continue home ABA services, transfer Coyne’s home ABA services to school, or reduce Student’s school day. Ms. Dyer met with Student’s parents to discuss the letter and the home program. Ms. Dyer explained that the SUCSESS program utilized ABA and a methodology referred to as TEACCH (Teaching and Education of Autistic and Communication related Handicapped CHildren) as best practices for teaching pupils with autism. Ms. Dyer summarized the classroom staffing and staff-to-pupil ratio. The SDC was devoted to pupils on the autism spectrum enrolled in grades 4 through 6. There were 8 pupils in the class. The classroom was taught by one credentialed, ABA-trained, special education teacher. The teacher was assisted by three full-time and one half-time ABA-trained instructional assistants. Instructional assistants participated in a ten week course administered by the special education local plan area (SELPA). To receive certification as a District behavioral aide, instructional assistants were tested and observed. ABA requires data collection to determine whether the interventions are working. Data was collected in the classroom according to accepted protocols and Student’s data book was monitored regularly to ensure that he was making progress towards his goals. Ms. Dyer reiterated District’s agreement to increase one-on-one DTT to 90 minutes from 60 minutes daily, and reminded parents that the DTT was in addition to the intensive individual instruction Student received daily from his SDC teacher. 36. District offered the testimony of Student’s teacher, Karina Morales, to establish the appropriateness of the SUCSESS SDC, and Student’s progress in that placement. Ms. Morales has been an SDC teacher for District for seven years. She was credentialed to teach special education pupils with moderate to severe disabilities. She has been trained to administer ABA, including DTT, and TEACCH in her classroom, and received special training in utilizing a comprehensive educational curriculum for pupils with autism spectrum disorders. She was able to describe her SDC program clearly and concisely, and demonstrated that she knew Student, and was sensitive to his needs. She responded to Father’s questions directly and patiently. Ms. Morales has been Student’s SDC teacher for three years. Given her expertise, direct and long term experience as Student’s SDC teacher, and her demeanor, her testimony was credible and given great weight in determining whether District’s IEP offer was a FAPE. 37. Ms. Morales’s SDC utilizes the district-wide SUCSESS program. District implemented the SUCSESS program in all SDC classes comprised of autistic pupils to ensure that instruction is consistent with best practices. ABA methods are utilized in small and large groups as a method of reinforcing pupils’ behaviors so that they can perform various activities. ABA provides a method for breaking down tasks into small steps and teaching pupils how to perform the task by mastering each step. DTT, an aspect of ABA, is one-on-one and is used to teach pupils new skills in a more isolated setting. TEACCH is a method of presenting the classroom routine to pupils, mainly through schedules. It is utilized in the SDC to provide predictable routines and increase pupils’ independence. 38. Ms. Morales’s SDC contains designated areas for different activities. Pupils’ desks are set up in the middle of the room and work tables where one-on-one DTT instruction or related services were provided were placed on the side of the room. There are also tables designated for snacks and cooking activities. By utilizing picture schedules and calendars and keeping the routines constant, pupils become comfortable in the SDC, and improve their ability to independently access their activities. 39. Ms. Morales’s classroom schedule was provided to the parents at the 2009 IEP and remained relatively unchanged. Mother regularly participated in the classroom and was aware of the classroom routine. Student’s day began at 8:20 and ended on all days, except one, at 2:45 p.m. One day a week school ended at 1:15 p.m. In the morning Student participated in activities designated as exercise, bathroom, calendar, work (which included on various days his academic, speech, APE, or community-based instruction), snack, recess, and then more work (which included on various days working on his goals, cooking, or art). As part of community-based instruction pupils walked outside of campus and visited local stores and restaurants. Pupils practiced crossing the street and using money to purchase items. Lunch was at noon, followed by recess. After lunch, Student participated in the following scheduled activities every day: grooming, reading, and story or open store. Four of the five days Student also participated in the following afternoon activities: whole class activity, music and singing, and closing activities. 40. One-on-one instruction, including DTT, was utilized throughout the day, depending on the pupils’ needs. Ms. Morales adjusted Student’s one-on-one instruction to accommodate his progress in performing activities independently. Student had previously received one-on-one APE instruction, but since he had been doing the same exercises for years, he could follow the routine independently within a supervised group. Student still received one-on-one individual speech instruction. Student had previously received only one-on-one support in the bathroom, but as he demonstrated more independence in bathroom routines, one-on-one support was relaxed for that activity. He required and was provided one-on-one support for calendar time. He participated in snack time independently, and had become more independent during lunch and recess. He still required one-on-one assistance for grooming. Recently, Ms. Morales introduced a vocational and self-help activity where pupils learned to use money, and could exchange rewards earned in class at a classroom store. Student did not need one-on-one assistance in this activity. 41. Student received about an hour of DTT, throughout each day, except when the class participated in a cooking activity. Student received another hour a day of scheduled DTT, four days a week, between 1:30 p.m. and 2:30 p.m.
42. Ms. Morales had observed Student’s progress in many areas where he had been provided intensive behavior services. In the past, Student had difficulty initiating choices and would not select an item. He could initiate choices and when presented with two items could grab the item he wanted. In the past, he could not button or unbutton his pants without assistance. He was able to button and unbutton his pants in a variety of bathrooms on campus. In the past, he could not transition to an activity. In response to a one step command, he could remove the applicable icon, and transition to the activity. In the past, he would not complete his work before placing it in the all done box. He could now complete the work on his desk before placing it in the all done box. 43. Student had interactions with special education and general education peers throughout the school day. Student’s interactions with his peers, fellow SDC pupils, and general education pupils, had improved. Formerly, Student was too shy and had difficulty interacting with other pupils. He could “high five” a peer and could respond “yes” or “no.” He enjoyed assemblies and could orient his attention toward the speaker. Student observed typical peers at lunch and recess. During the 2009-2010 school year, general education peers had participated in a buddy, or reverse mainstreaming, program where they participated in the SDC class. At the time of hearing, Ms. Morales was in the process of setting up the reverse mainstreaming program for the 2010-2011school year. 44. Ms. Morales disagreed with Father’s request for a shortened school day and his objection to terminating the ABA home program. She maintained that Student benefitted from a full school day to work on all his IEP goals and to participate in school activities. Student’s behavior was “great.” He was able to follow routines. He was able to learn and retain the progress he made on his goals. For example, once he began to check his schedule independently, he did not forget to check his schedule the next week. As part of the school program, Student learned to be with other pupils as part of a group and part of a campus. With practice at school, he had become more comfortable interacting with others and enjoyed responding to other pupils. Overall, as part of a school program, Ms. Morales maintained that Student continued to learn how to appropriately interact as a member of society. 45. Ms. Morales agreed with Coyne’s recommendation to discontinue home services. She assisted in the development of Student’s classroom goals and objectives and participated in Student’s IEP team meetings. All the goals were being worked on at school and there were no goals unique to the home environment. At home Student could work on his goal to make choices in his kitchen, but Student could work on the same goal at school when requesting snacks, using the same ABA methodology. 46. Sue Khalili, District school psychologist testified about District’s offer to eliminate the ABA home program. Ms. Khalili is a credentialed school counselor and school psychologist. She is also licensed as a marriage, family and child therapist and received a post-graduate certificate in neuropsychology and board certification as a school neuropsychologist. She has been District’s school psychologist for 13 years. She has known Student since his first grade year. She had participated in the majority of his IEP team meetings and meetings between Coyne and the school about Student’s home program. Ms. Khalili observed Student in his home program. Ms. Khalili provided straightforward responses to questions and responded respectfully to Father’s questions. Given Ms. Khalili’s background, her familiarity with Student and his home program, her testimony about the need for Student’s home program was given deference. 47. Ms. Khalili observed Student’s progress since first grade. When Student was first provided a home program in preschool his attention was so limited that a home program was required to advance his skills. As a result of the collaboration between the home and school program over the years, Student has progressed to where his goals can be met in the school environment without a home program. From her observations of Student at school, she concluded that Student’s focus at school had increased so that he was capable of learning without the home interventions he previously required. Ms. Khalili also observed that Student was happy at school and “loved” interacting with his peers. With a shortened day as Father recommended, Student would be deprived of opportunities to participate in functional and social activities with his peers and the general education population. During the afternoon Student participated in lunch, recess, grooming and schoolwide activities. 48. Peter Ellis, District’s Autism Supervisor, also testified. Mr. Ellis is a board certified assistant behavior analyst, with a bachelor of arts in communication disorders. He worked as a behavior therapist for several years before becoming a supervisor. He has been in his current position since February 2010. As part of his job responsibilities he supervises District home programs and provides follow-up training for District’s home aides. Mr. Ellis was able to explain clearly and simply the various methodologies utilized in District’s autism program, as well as the purpose for a home program. After Coyne resigned, he administered Student’s home program under stay-put. He observed Student in his classroom setting and at home. He reviewed Student’s records, including Coyne’s reports, previous IEPs, and his triennial assessment. Mr. Ellis provided credible and relevant testimony about whether a home ABA program was appropriate for Student. 49. Mr. Ellis explained that a home ABA program was appropriate where the level of service at the school was not sufficient to meet a pupil’s goals. To determine whether a home program was required, the IEP team generally considered whether barriers existed to education that could not be addressed in the classroom. In Student’s case the home program was utilized to eliminate barriers to Student’s access to the educational program at school so that Student could have all his education take place in a classroom setting, with the possible exception of his related services. The IEP team determined that Student was able to use a skill in his classroom that previously had been taught in his home using ABA. Baseline data was collected on Student’s goals and progress was demonstrated in the classroom setting. Based upon the goals, and Student’s progress, Coyne and the IEP team determined that the home program was no longer necessary. Mr. Ellis agreed with Father’s statement that an ABA home program would help Student, but Mr. Ellis qualified his response. He agreed that an ABA home program would benefit Student as much as it would benefit any pupil with Student’s disabilities. However, an ABA home program was not necessary for Student to access his education. 50. Len Levin, Ph.D., Clinical Director of Coyne, testified. Dr. Levin oversees Coyne’s services in three counties, including the development of curriculum and staff training for Coyne’s staff. Dr. Levin has a Ph.D. in clinical psychology. His undergraduate and graduate training focused on ABA and autism intervention. He had a working familiarity of Student’s ABA home program as Coyne’s Clinical Director, but he was not involved directly in supervising Student’s ABA home program in the past year, or the most recent IEP team meeting. He tried to answer all questions posed to him thoroughly and gave careful consideration to Father’s questions. Given his expertise in autism, his testimony regarding the place of home programs as part of educational services was relevant. Dr. Levin confirmed that early intervention behavioral home programs are typically appropriate for autistic children between the ages of 18 and 24 months. At three years of age, the school districts become responsible for the child and may utilize a combination of home and school based programs. When a child is three it may not be practical to have a child attend school for six hours a day. In Student’s case, Coyne worked closely with District staff to train them in various behavioral techniques. Over time District personnel demonstrated that they could effectively utilize these behavioral techniques in the classroom setting. Coyne determined that it was appropriate to first reduce the home program, because Student’s rate of learning was similar in both the home and school setting. Eventually, the goals that were important to the school setting could be accomplished at school and Coyne determined that the home program should be terminated. The ABA home program was never designed to transfer skills from school to home. It was designed to teach skills that could be utilized in the classroom so that Student could access his education. 51. Father questioned Ms. Morales and Mr. Levin about the need to generalize Student’s skills in the home environment. He asked Ms. Morales to comment on one instance when Student was not able to choose a preferred item, chocolate cake, from the refrigerator, during the time his ABA aide was present at home. Ms. Morales stated that this was a problem with collaboration between home and school, not with generalization. At school, Student worked on his goal related to choices by choosing between one or two items, not a wide range of items as was present in the home refrigerator. Ms. Morales encouraged the parents to collaborate with her so that Student’s instruction is consistent. Father presented another example to Dr. Levin. At school, Student washed his hands with cool water flowing from one working faucet, the left faucet. As a result of using the left faucet at school, Father stated that Student hurt himself when he used the left faucet in a bathroom facility outside of school. Contrary to Father’s conclusion that Student’s use of the left faucet out of school meant that he could not generalize his lessons, Dr. Levin acknowledged that Student was generalizing his lessons by using the same faucet that he was mistakenly taught to use at school in other locations. Dr. Levin considered Father’s repeated reference to “generalization,” as a “red herring.” Dr. Levin stated that other programs, such as programs sponsored by the Regional Center, focused on training the family to implement ABA therapies in the home and community. Contrary to Father’s position, the District was not responsible for funding ABA therapies in the home if the goals for which the therapies were designed could be successfully implemented at school using the ABA methodology. 1. In a special education administrative due process hearing, the petitioning party has the burden of proving the essential elements of its claim. (Schaffer v. Weast (2005) 546 U.S. 49, 56-62 [126 S.Ct. 528, 163 L.Ed.2d 387].) In this matter, the District has the burden of proof. 2. The sole issue in this matter is whether the District offered Student a FAPE at its May 4, 2010 IEP. The District contended that its IEP of May 4, 2010 constituted an offer of FAPE in the LRE. District contended that it fulfilled its obligations by respecting the procedural rights of parents at the IEP, and by offering goals, services and placement that were appropriate to Student’s unique needs, and provided Student the opportunity to progress in the LRE. District maintains that its offer is appropriate without an ABA home program. 3. Student maintained that District’s May 4, 2010 IEP offer was inappropriate without a home ABA program. Student maintained that he required a home program because he could not generalize what he learned at school to the home environment. Student maintained that the appropriate placement was a shortened school day, and an ABA home program. Student further maintained that District’s offer of APE was inappropriate because there was too little time provided for APE during a full school day. For the following reasons, District has met its burden of proof. 1 Sally Ozonoff and Kristina Cathcart, (1998) Effectiveness of a Home Program Intervention for Young Children with Autism, Journal of Autism and Developmental Disorders, Vol. 28, No.1. 12. As discussed below, District also met its burden of proving that the May 4, 2010 IEP offer of placement and services constituted a FAPE in the LRE. The District’s March 4, 2010 IEP offered Student a FAPE in the LRE. District is entitled to implement the IEP without parent agreement. Pursuant to California Education Code section 56507, subdivision (d), the hearing decision must indicate the extent to which each party has prevailed on each issue heard and decided. Here, District prevailed on the sole issue heard in this matter.